Property was spacious and a really good size. Bathroom was clean and big. Good value for money! The location is perfect, nice neighborhood and close to the metro. The building is beautiful and the rooms are nicely renovated. The staff was nice and helpful and the studio was cleaned every day. I used to live in Madrid in the past and I can say it is located in a beautiful building in a great central but not touristic location! 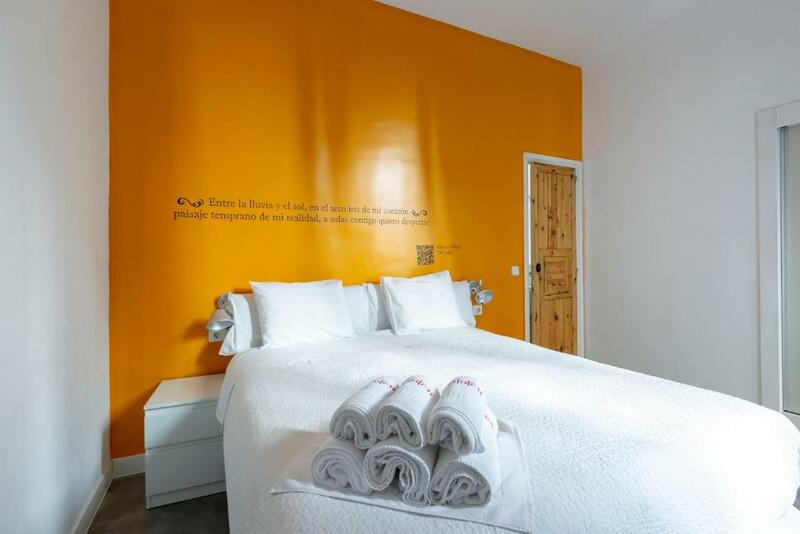 Clean and tidy rooms! Comfortable beds. Very specious, centrally located, clean, great value for money. Loved the ambience of property, very clean, daily change of towels and cleaning of bathrooms. Great location, walked to all main attractions. Lovely restaurants and bars in close proximity to apartment. Metro 5 minutes walk. 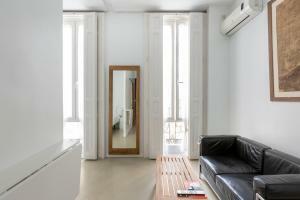 Excellent location, right in the heart of Madrid and easy to walk to any of the major locations. Extremely quiet considering its location with hardly any outside noise at all. Great location in the center of Madrid. 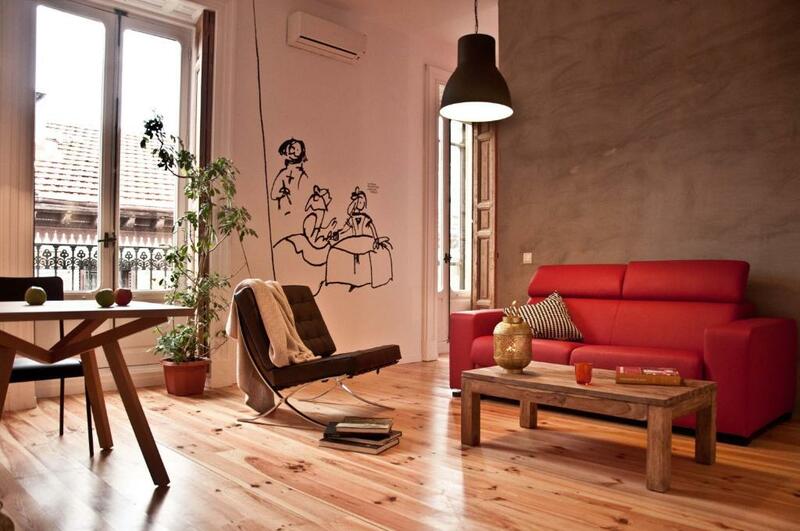 Direct access to nice bars, restaurants and a lot of great spots of Madrid. Apartment had a lot of space and was nice. 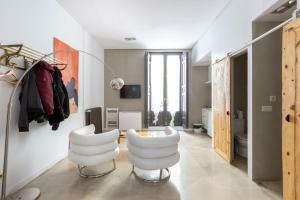 Great location for the 3 museums, Retiro park and travelling by train. Lots of eating places and food shops. Location was very good, close to all the important places to visit, walking distance. The room was big also. Lock in a great price for Apartamentos Matute 11 - rated 8.5 by recent guests. One of our bestsellers in Madrid! Apartamentos Matute 11 are set in central Madrid, 550 yards from Puerta del Sol and 10 minutes’ walk from Atocha Station. 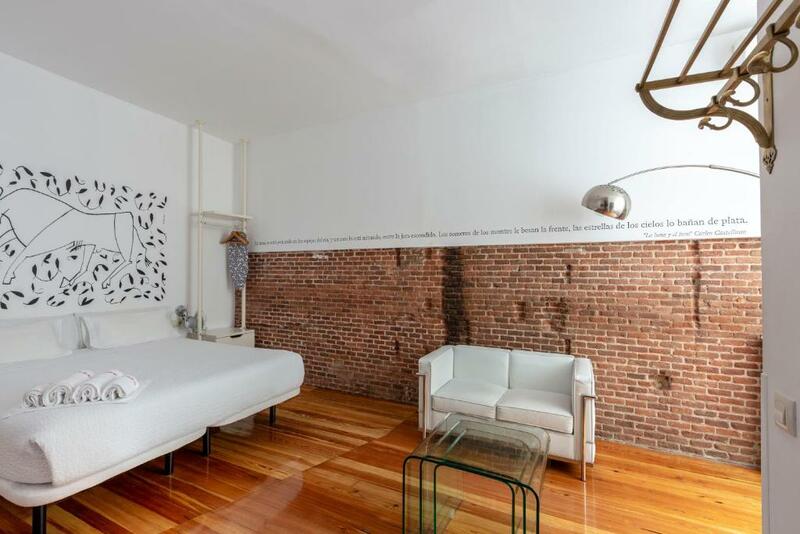 These well-equipped apartments feature flat-screen TVs and free Wi-Fi. The Apartamentos Matute 11 are spacious and offer simple, contemporary décor with parquet or tiled flooring. Each has a kitchen with a fridge, microwave and hob. All apartments have a seating area and some have a balcony. 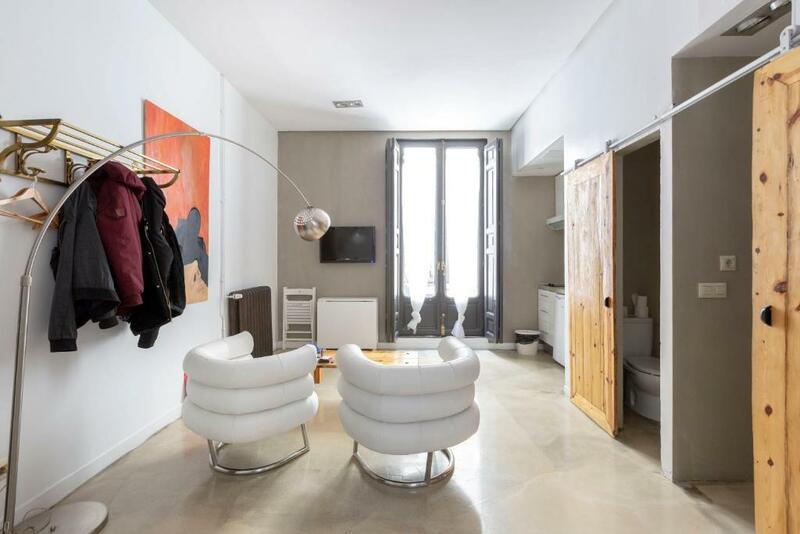 The apartments are ideally situated for visiting Madrid’s many tourist attractions, including the Reina Sofia and Prado Museums which can be reached in around 10 minutes, by foot. 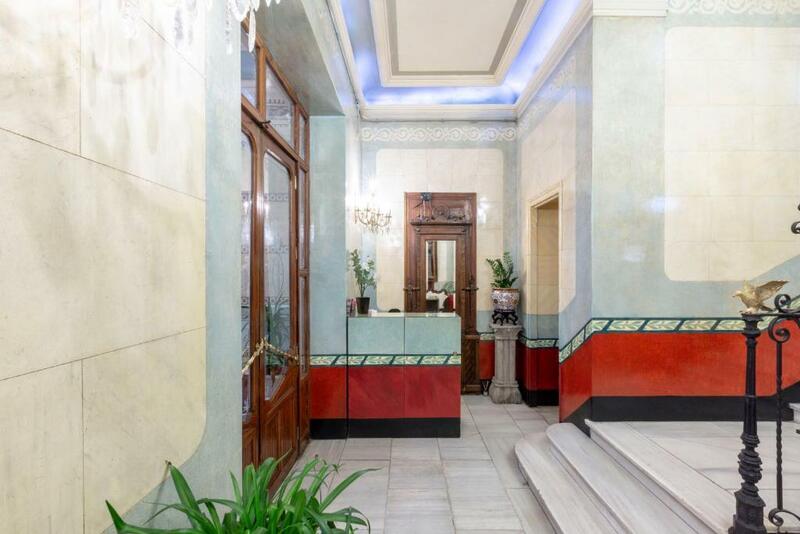 The Retiro Park is less than one kilometre from the Apartamentos Matute 11. The closest metro station is Antón Martín, just 100 yards from the property. Centro is a great choice for travellers interested in tapas, architecture and parks. Apartamentos Matute 11 has been welcoming Booking.com guests since 21 Jan 2011. 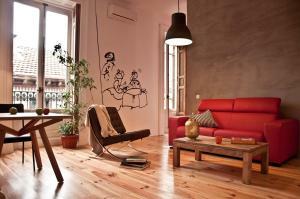 When would you like to stay at Apartamentos Matute 11? This studio has a sleeping area with either a double bed or 2 single beds. It features a kitchenette and bathroom. This apartment has a dining area, satellite TV and seating area. Each of the 25 apartments is different and unique and has its own personality. Sober space (modernist building) as a neutral canvas, in which I have been incorporating contemporary and risky elements, strong colors, graphic elements, microcemento, and designed furniture. Property surroundings – This neighbourhood is a great choice for travellers interested in tapas, architecture and parks – Check location Excellent location - show map Guests loved walking around the neighbourhood! House rules Apartamentos Matute 11 takes special requests - add in the next step! One child under 2 years is charged EUR 10 per person per night in a child's cot/crib. Apartamentos Matute 11 accepts these cards and reserves the right to temporarily hold an amount prior to arrival. Please let Matute11 Suites know your expected arrival time in advance. You can use the Special Requests box when booking or contact the property. Please note that late check-in after 23:00 is available on request and subjected to availability. It has a surcharge of EUR 30. A weekly cleaning service is offered for guests staying for 5 days or more. An additional cleaning service is available on request for a surcharge. Toilet doors are a thing where I paid attention! The doors will only prevents the view to the toilet but not the noises made by you or your travel buddy. The positive sides of this are: you will either have some "good" jokes or unpleasant bewilderment with your travel companion, depends how you guys look the world! At least you will both learn new sides of yourselves and how you both react to the world around you and the weird noises the world sometimes creates! A carpet would make a room a bit more cosy, too. Also I would prefer duvet covers in the blankets, in this you'll find a blanket that is covered only from your body-side with a normal sheet.. The room was very old - it also smelled of cigarettes! There was an issue with hot water early in the morning. All the amenities were very old ; I also didn’t understand why the toilet paper holder was placed right beside the toilet where it was already so cramped! They could have just laid out a roll of toilet paper without that bulky holder ! My husband couldn’t fit himself to use the toilet !!! Stairs inside the apartment to main bedroom was a bit inconvenient to carry luggage up. Reception only closes at 11pm however we arrived at 9pm and was stuck in the road outside the building as no one opened for us. We tried calling the contact number we were given however this did not work. Thankfully 2 guests came out of the apartment and gave us the contact number they had and that’s how we got in touch with reception. As we were next to the staircase (206) there was quite some noise especially in the morning. Also the space around the bed and in the bathroom is limited and more light in the living would be nice. The room was clean and quiet. It’s location is excellent, close to shopping and museums. First night we got a room that we weren’t happy with and they changed us. Still we weren’t quite happy as both rooms we not quite like in the photos advertised. Next day they changed us to an incredible room;we really appreciated the effort. We think is fair to have different rooms, but would be nice to have different prices as well.. there was no cleaning service for the 3 nights we were there, but as we weren’t quite sure about the policy we didn’t ask them further. Easy come, easy go. Very good value with unique atmosphere. Super spacious to accommodate family. Restaurants, grocery shops, subway just meters away. Attractions within walking distance, including Atocha train station. The view from the balcony is stunning. When cleaning the rooms, they used some sort of very strong smelling chemical. It overwhelmed the place. We had to air it out when we got back each day. Even then, you could smell the chemical. Oddly set up. The shower was very nice, but there was no way to avoid getting water on the floor. The toilet was in a very small room (very!) of its own. I am fairly slim. A heavier person would have trouble using it. The room we had was spacious and comfortable. one night a number of young people used like party house. Very central easy to find.